15 km from Pulau Buru, epicenter near the eastern coast. 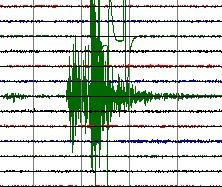 Unusual earthquake in Poland. Limited magnitude. Read full and extensive report by clicking here. We have called this earthquake moderately dangerous based on the data from EMSC.